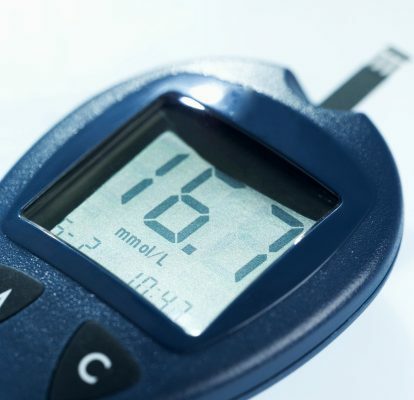 Severe hypoglycemia is tied to cardiac arrhythmia and mortality in diabetes patients. Research conducted in Tokyo, Japan looked at patients with diabetes and severe hypoglycemia (low blood sugar) and found that hypertension, QT prolongation and hypokalemia were fairly common, which may help explain why hypoglycemia may contribute to irregular heart rates and mortality. When type 2 diabetic patients were compared with type 1 diabetic patients, type 1 diabetics were more likely to have severe hypertension, but both groups were equally as likely to have QT prolongation and hypokalemia. The researchers conducted their research on 414 cases of diabetes and severe hypoglycemia in patients who visited emergency rooms between 2006 and 2012. Patients with type 2 diabetes generally were older, and type 1 diabetics were more likely to have a history of cardiovascular disease. Patients’ vital signs and ECG tests were reviewed by the researchers. A fair amount of type 2 diabetes patients had hypothermia, which can contribute to arrhythmia, and few of them were diagnosed with a new cardiovascular disease. None of the type 1 diabetes patients were diagnosed with a new cardiovascular disease. In diabetes, low blood sugar is commonly found, even though diabetes is known to raise blood sugar to dangerous levels. Low blood sugar can result from the very same medication that is intended to help prevent high blood sugar. In order to combat low blood sugar, the body requires insulin. “Your body needs fuel to survive and run properly. During hypoglycemia, the body is low on energy. When hypoglycemia is more severe, the brain [which runs on sugar] can get confused and stop functioning. If the blood sugar gets low enough, hypoglycemia can be fatal,” added Dr. Simon Fisher, associate professor and coauthor of an accompanying editorial to the study. In the small-scale study, 25 patients with type 2 diabetes were included, with an average age of 64. They were all treated with insulin for at least four years. The participants wore a glucose monitor for five days, along with a 12-lead Holter monitor for the heart. When blood sugar was low at night, it increased the risk of low heart rate up to eight times in comparison to when it was normal. Slow heart rate wasn’t seen during the day as it was seen at night. In fact, majority of heart problems were seen at night as opposed to during the day. Other research has shown that hypoglycemia risk in critical illness can increase the risk of cardiovascular problems, which in turn can increase the risk of mortality. In research exploring hospitalization of patients with various serious illnesses, hypoglycemia was found to worsen outcomes, when compared to patients with hypoglycemia. For example, one study of diabetics found that patients with hypoglycemia were more likely to experience acute coronary syndrome, compared to those who did not have hypoglycemia. All the combined research reveals that hypoglycemia can complicate illness and contribute to worsened health outcomes. The moment you begin to experience symptoms of hypoglycemia you should seek medical attention immediately. Furthermore, if you’re diabetic, ensure you are checking your blood sugar often and that it does not dip to low.